Address: NO.148,6 floor,tds industrial park,Xishan district,Wuxi city,Jiangsu,China. As a big manufacture of Led in China since 2005, we are only expert in the high power led and 5mm led packing for around 9 years. We never produce order products. Our main products is high power led which includes :1 watt led , 3 watt led, 3 watt RGB led , 5 watt led, 10 watt led ,15 watt led, 20 watt led, 30 watt led , 50 watt led , 60 watt led , 80 watt led , 100 watt led , 200-300W led. All led are with 140-150lm/w luminous.The led chip is Taiwan Epistar and USA bridgelux Led chip. We also have 3mm led / 4.8mm / 5mm / 8mm led / 10mm led Led in all colors such as red , green , blue , yellow , white , warm white , cool white , purple , pink , uv , amber. Our main led is 5mm round led , 5mm oval led, 5mm strawhat led , 5mm helmet led , 5mm blinking led , 5mm flash rgb led , 5mm screen display led , 5mm concave led , 5mm traffic light led , 5mm warning board led. 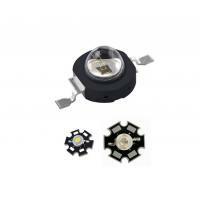 The LED can be 3mm / 4.8mm / 5mm / 8mm / 10mm in various color and different viewing angle. Such as 5mm round led with 45 degree , 5mm round led with 15 degree , 4.8mm round led with 60 degree, 5mm round led with 90 degree and so on. * Re-flow,wave peak and soak-stannum soldering etc.is not suitable for this products. * Can use invariable-temperature searing-iron with soldering condition:≤260 degree less than 3 seconds. If you found any problem with the led within 5 years, you can contact our after-service department. We willl ask you to send back the problem leds to our DHL account. We will pay for all the shipping cost. High Power led: From 1 watt led to 200 watt Led in all colors. NEW product: 24W 36W 48W 72W Street lamp kits. (Lamp housing+glass cover+all screws+PCB with Led soldered+Led driver. ).You can install them yourself.We supply all parts.